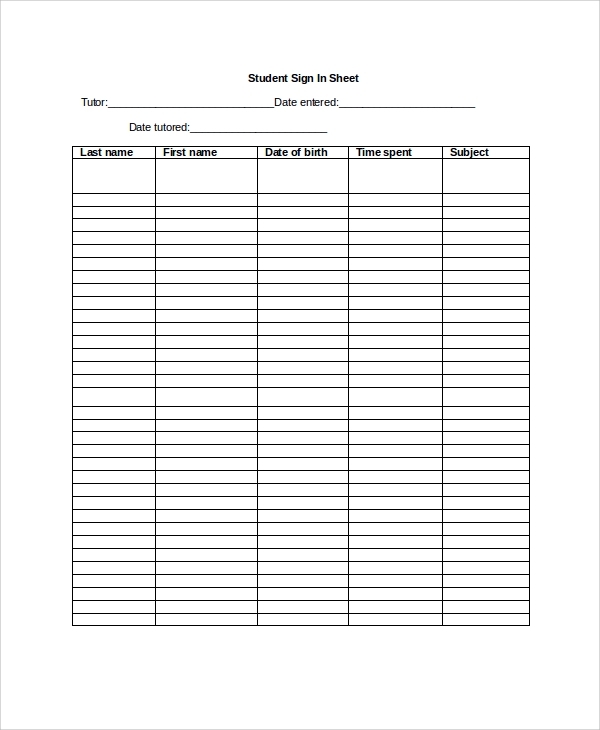 This template is an individual student sign-in sheet containing the list of attendance of the student on the different school activities. 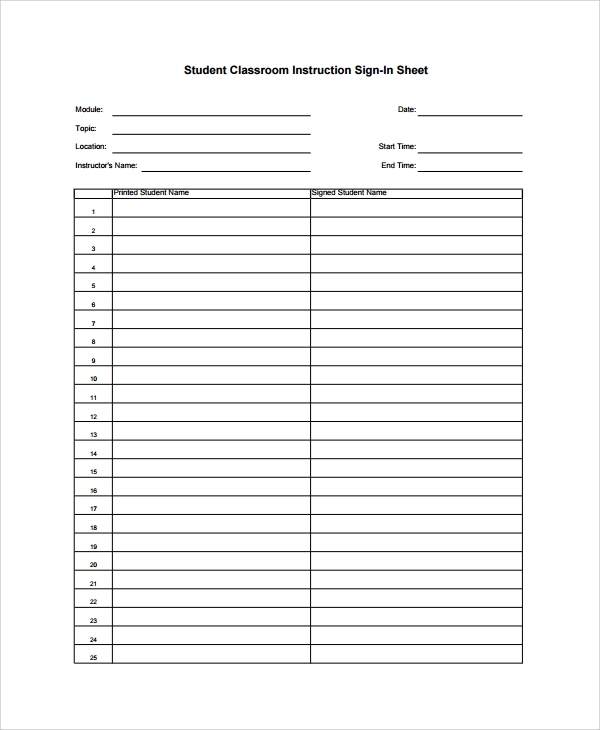 The sheet contains the Instructor Name, Class #, and Instructor ID #, Student Name, Language, Company, Location and Total Hours Approved. At the bottom of this sheet with the columns: date, student’s signature, start/end times and lesson duration. 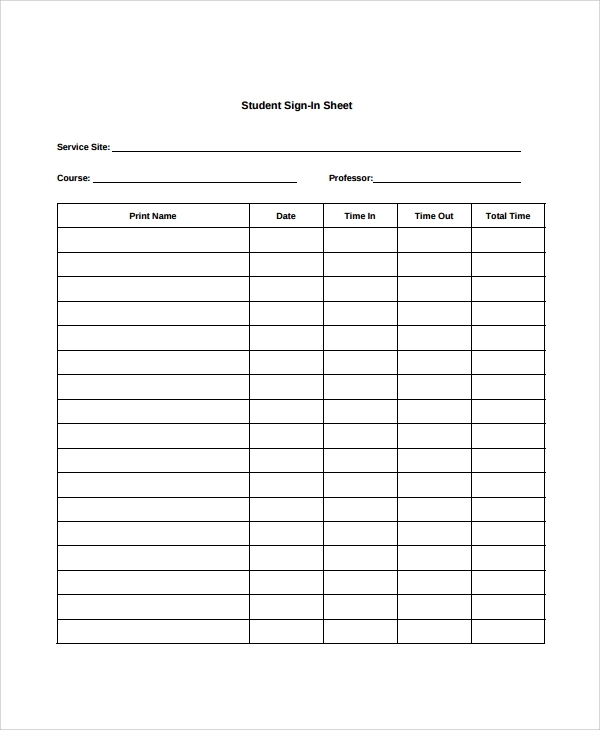 This template is a type of sign-out sheet. The security of preschool student is one of the most prioritize assurances in a school. 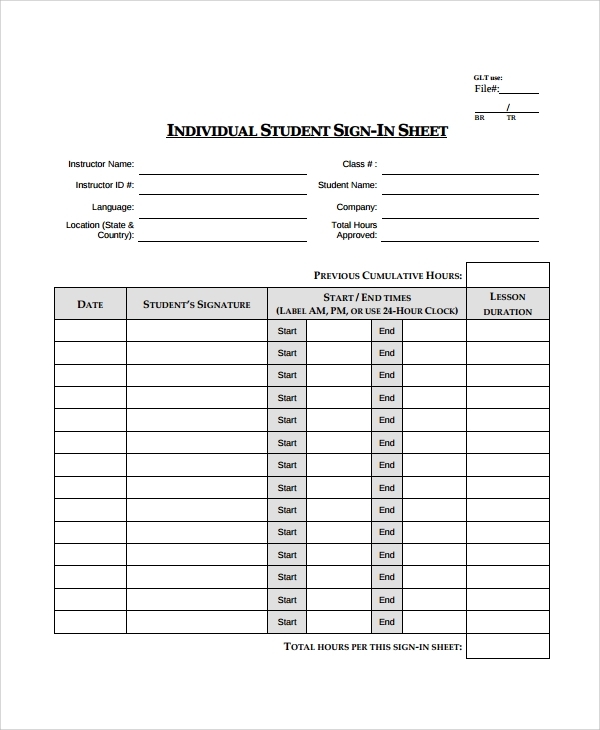 It is significant to figure out sign in sheet as well as the sign-out sheet of a student. This covers the tutor, date entered, date tutored and under columns: last name, first name, date of birth, time spend, and subject. 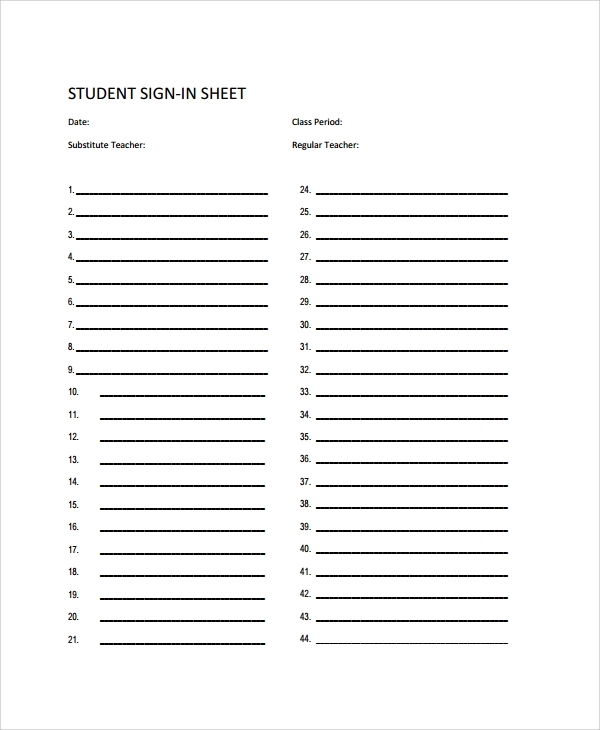 This template will be established daily procedures as a new teacher’s survival guide for a late student sign-in sheet. This will serve as second information about the student’s daily attendance. After the teacher marks the student present, this sheet will be secondary information of late students. The sheet has 4 columns: Numbering, Your Name, Today’s Date and Time Entered. This template is a sign in sheet in detailed information. 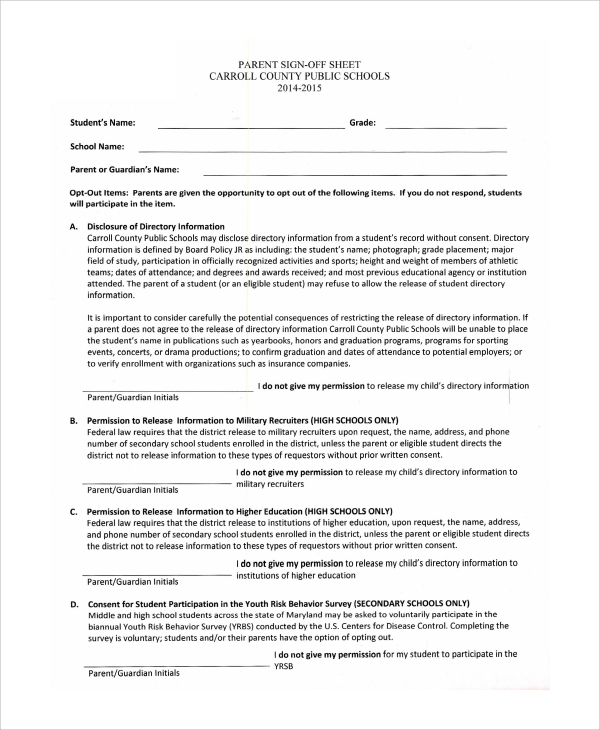 This covers the admission of directory information, consent of releasing information (applicable for high schools only) and for higher education, students participation for secondary schools and others. 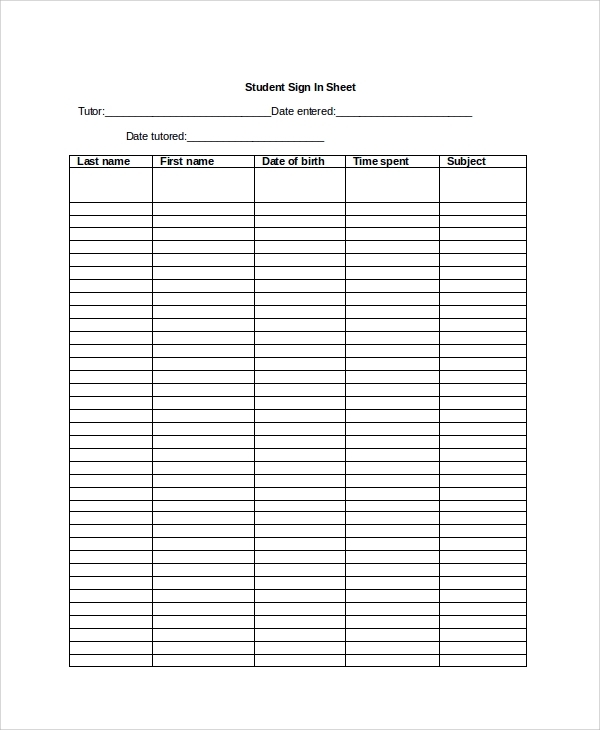 When do I need Student Sign in Sheet Template? 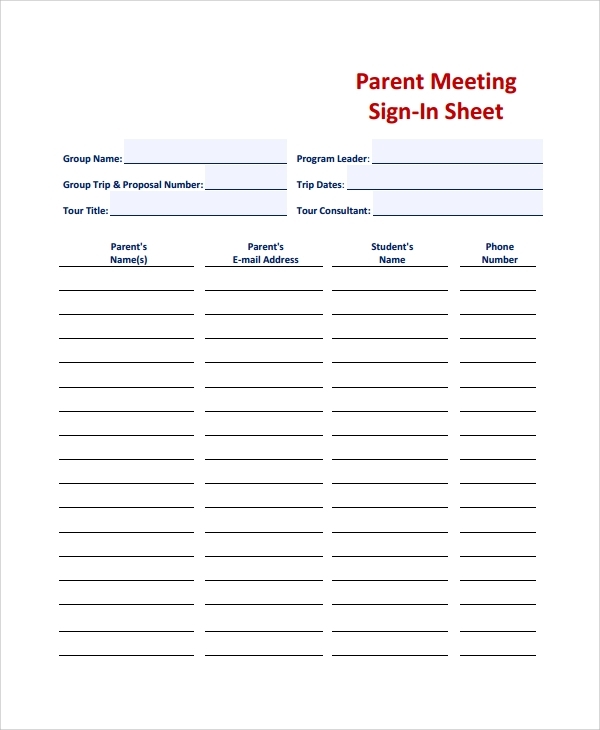 You will need a sign in and out sheet using this template. 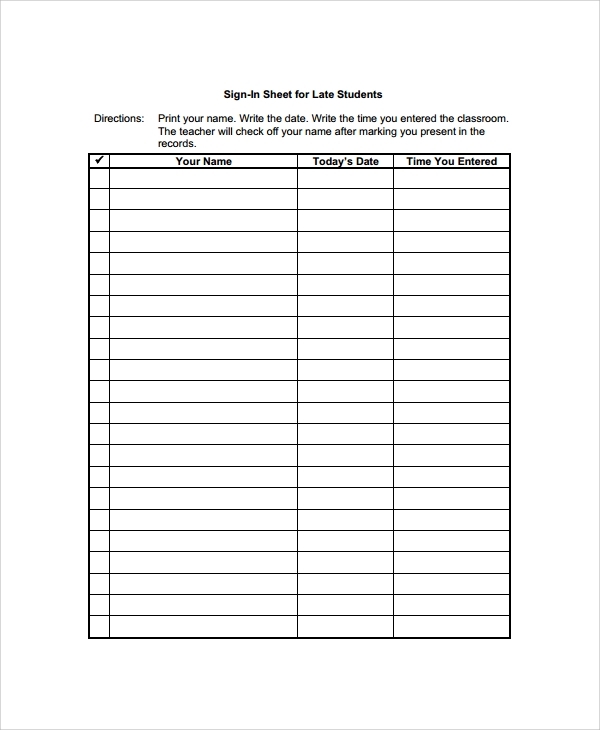 Students should have the record of listing of attendance to be provided by the teachers. Attendance plays a big role in a teaching material. This will serve as a relevant tool to figure out how you effectively impact the learning stage of the student. You are able to track down the record if how a student learn and how you have motivated and impacted them to come to school during school days. This is a file which is download-ready, ready to use and easy to use. It comes with different file formats such as doc and pdf. You can preferably decide which format you think you are comfortable to use.